PicWood USA specializes in creating custom quality furniture for the home, office and outdoors. 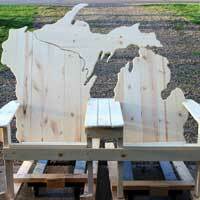 Products include standard Michigan Clocks, laser engraved Michigan clocks, Michigan Adirondack Chair with accessories and coordinating Upper Peninsula Table. 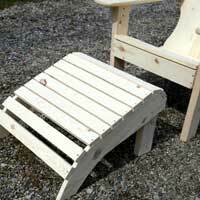 This week we added the Lake Michigan Adirondack Bench, the Standard Adirondack Chair and coordinating Adirondack Footstool. 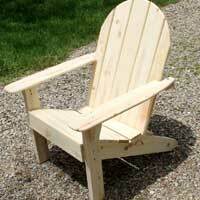 Carefully crafted by Picwood USA, products are constructed with all-natural #2 Grade Pine White Wood. All custom-made orders take up to 7 days to complete and are comprised of the best, natural resources available.